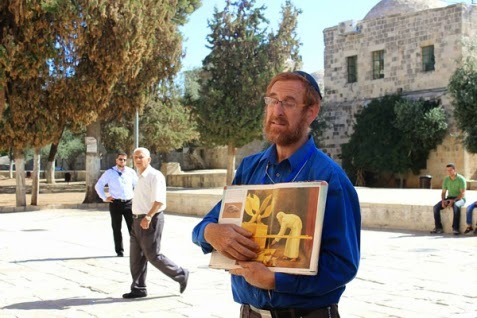 (THE TEMPLE INSTITUTE)—In the case of Temple Mount activist Yehuda Glick vs the Israel Police, Judge Malka Aviv ruled that the police have no legal basis to prevent Jewish prayer on the Temple Mount. Specifically, the judge ruled that "police must work to ensure that Jews can pray on the Temple Mount." In addition the judge roundly criticized police policy on the Temple Mount. Attorney Aviad Visoli, representing Glick, said that, "in effect, the judge has taken previous rulings of the Supreme Court [in favor of Jewish prayer on the Temple Mount] and turned it into the law. This is the first ruling and certainly the broadest in scope, in which the courts have paved the way for the practical application of the right of Jews to pray on the Temple Mount. From this day forth every Jew has legal authorization to pray on the Temple Mount." The judge harshly criticized the police practice of enforcing allegedly written rules and regulations forbidding Jewish prayer on the Mount. The alleged regulations are not in writing and do not exist.